Leading Manufacturer of 9w led bulb and 12w led bulb from Lucknow. 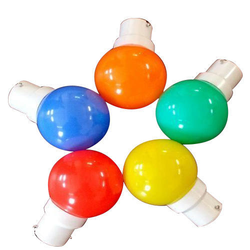 We are a well-known firm in this domain and are engrossed in offering pristine LED Night Bulb. We are offering 9W LED Bulb to our clients. We are offering 12W LED Bulb to our clients.